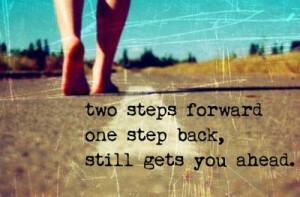 Two steps forward and one step back describes an obnoxious phenomenon in humanity. As Unitarian Universalists we assert peace, liberty, and justice, but it seems like with every move forward we are forced backward. It is important to remember that sometimes we walk and sometimes we trudge, but regardless we must not only move forward, we must also abide.